The Nuristani people groups are unique amid others living in Afghanistan – so unique they cannot be viewed through a single lens. Their only common threads may be religion, ethnicity and remnants of customs pre-dating their collective conversion to Islam little more than 100 years ago. Ethnically, the Nuristani people cluster embraces eight groups – the Ashkuni-Wamayi, Bashgali-Kati, Grangali, Kamviri, Malakhel, Waigeli, Prasuni, and Tregami with a population likely between 120,000 to 250,000. 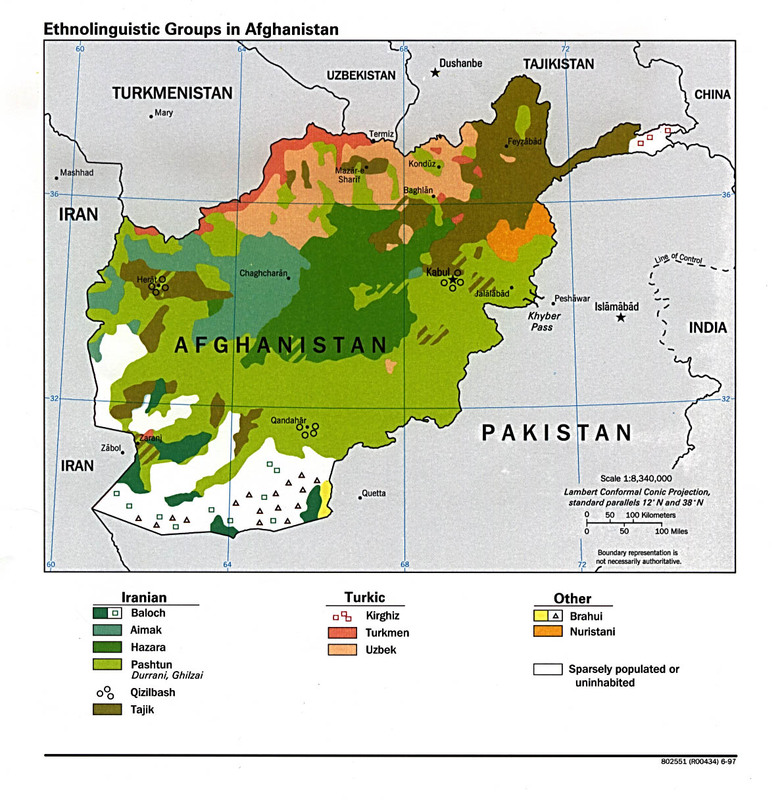 Linguistically however, two of these clans speak languages unrelated to the Nuristani family of Indo-Iranian languages. Often, a language spoken in one valley is largely unintelligible to a near neighbor in another. None of their languages are in written form and their literacy rate in other languages is very low. Oral traditions testify to longstanding interaction between groups through the centuries despite language barriers. Geographically, as early inhabitants of the Nuristani region in northeast Afghanistan, most still reside there, although two groups - the Malakhel and Urmuri - now live among the Pashtun in Paktika Province southeast of Kabul. Focus here is on the seven groups still living in the mountains of Nuristan. Renowned as an area of astonishing beauty that shares its eastern border with Pakistan, Nuristan spills down the craggy southern heights of the Hindu Kush mountains into valleys holding the watersheds of four major rivers. A fairly consistent climate provides sufficient rainfall to sustain lush forestland – in stark contrast to the barrenness of other parts of Afghanistan – and to irrigate crops directly or through a network of canals. Wheat and corn is grown in terraced plots because arable land is sparse. It is the women's task to perform agricultural chores, often using primitive tools for cultivation. Pastureland for goats and cattle, tended by the men, is more plentiful. Even so, when the first settlers found natural resources limited by the rugged terrain groups fought for land and stole livestock from one another. Left unchecked if no village mediator was available, retaliation to defend a tribe's possessions led to volatile relations between the clans, even blood feuds that continued for hundreds of years. Oral accounts from tribes dating to a thousand years ago indicate they lived northeast of the merging point of the Kabul and Kunar Rivers, having moved westward to escape encroaching Muslims, whom they viewed as belligerents intent on forcing Islam upon them. The clans' beliefs had roots in an older form of Hinduism that featured a supreme creator and lesser gods who distinguished between impure humans and pure gods. One's destiny was determined by these gods although appeals could be made through animal sacrifice and prayer - even large feasts which also assured the host of purity and favorable community status. Honor to the gods was offered through a shaman and local animistic rites became intermingled. This religion was supplanted after some 800 years of resistance when, in 1895, the Nuristani clans were out-fought by Amir Adur Raham Khan's forces and forced at sword-point to convert to Islam. 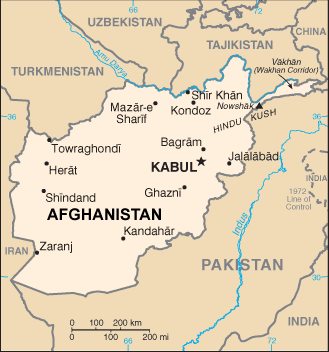 Previously the region had been called Kafiristan by the Muslims – "Land of the Non-Believers" or Infidels. It was renamed "Land of the Enlightened" - Nuristan - at that time. Origins of present-day Nuristani peoples remain a mystery although soldiers of Alexander the Great have been implicated. Physically, the people favor Europeans; blond or red hair and blue or green eyes are seen more frequently than in other Afghan people. Alexander's records from 327 BC mention his expedition there and his armies' defeat by fierce-fighting mountain tribes in the Kunar River area, where they sustained considerable losses. Not long after when Alexander died, his army disbanded but whether remnants of his forces remained in the area is not documented. It is interesting to note, however, that Nuristani games echo those of Greece – javelin throw, shot put and a discus throw using an 8" round, polished stone. Village competitions are held and trophies awarded, culminating in an annual tournament. Most Nuristani subsist as farmers and herders but in this remote and difficult to access region where steep, narrow paths challenge even mules and transport is mostly on foot, some of the men are employed by logging or illicit gem mining enterprises. Some logging is legitimate, some not, but all gem extraction is illegal by government restriction. Both are transported beyond the central government's control through Pakistan, funded by outside entrepreneurs who, as the suppliers of the necessary capital and machinery, reap huge profits that are not fairly shared with local laborers. Gems such as rubies, emeralds, lapis lazuli and tourmalines of a superior quality known since 5000 BC to Silk Road traders and throughout the world today as well, are the region's primary resource. Isolation has proved two-edged: beneficial development has been hindered, leaving Nuristan as one of Afghanistan's most impoverished areas, yet a singular culture and its varying languages has been kept intact. Nuristani villages, ranging from 30 to 300 families, are the core of a patriarchal culture. Influential men, called mediators, are leaders respected for skills in negotiating conflicts to a non-violent end, perhaps with the aid of a local or area council of leading men. 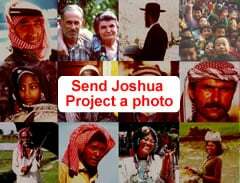 Peace beyond an immediate village is dependent on relationships formed by intermarriage or through friendships with men in other villages who "adopt" one another as brothers. Historically, men were the property owners, with male heirs the inheritors of grazing lands. Now, under Islamic law, women have the right of inheritance but in reality a woman's portion is usually controlled by her brothers or uncles. In addition to division of labor by gender, a caste system is evident within the Waigeli clan, and may exist in others. Landowners are the "upper class" - the decision makers. The "lower class" (slaves in earlier times) are the craftsmen – woodworkers, weavers, potters, basket makers, blacksmiths and carpenters. Their skilled handiwork is put to use in every village dwelling. Homes, many perching precariously on mountainsides, differ locally in construction details and may be built of wood, stone or mud, but with the availability of timber, it is widely used. A common type has a stone foundation, multiple stories , a flat roof supported centrally by substantial wooden columns and no fence – a detail rarely, if ever, omitted in other Afghan villages. A window would face east, another west to allow a view of sunrise and sunset. Doors are placed somewhat above ground level. Three spaces are typical – one for family living and two for storing wood and grain. A stone cooking hearth is at the center of the family's upper room with a hole in the ceiling above to release smoke and admit daylight. Nuristani furniture is distinctive as some of it is handsomely carved and may feature chair backs painted in various colors. Chairs and stools with leather strip seats, together with a wide, short-legged table sit near the hearth, beds are further away while wooden wall racks hold carved wooden, stone or metal utensils. An unusual feature is an area on the ground floor set apart in a corner for bathing and washing clothes. Goat wool rugs, even a carpet may cover the floors. Night lighting is provided by stone, copper or clay lanterns and/or torches. Meals historically symbolize the importance of male and female in that it is customary for both to contribute food to them. Since the crops grown are insufficient, meals are simple. A wife provides bread baked from her grain fields, while the husband contributes cheese, butter or yogurt from his flocks. Herd animals provide occasional meat but poultry is not eaten because birds, according to a myth, represent dead souls. Storied warriors of ages past, Nuristani tribes are described as attractive, athletically-built people. Cited as reliable and loyal, they are creative too, as attested to by their skilled architecture and craftsmanship. Dress varies among Nuristani tribes although some favor black or white clothing. One distinction is true of all Nuristani women – the veil has never been required attire, even though they are Sunni Muslims. Marriage traditions, like preferable age, differ from other Afghan groups. For Nuristani women it is 20; for men, 25. Marriage between first cousins is forbidden. A bride price in cattle is required but if the groom cannot pay in full, he is allowed to work for the bride's family to satisfy the remainder. The birth ritual is decidedly different among Nuristani peoples in that babies are not born at home. Beyond village limits each community maintains a large building with several rooms where mothers stay a few days before and after giving birth. Despite such care, the maternal death rate is very high. Bestowing a child's name follows interesting traditions as well. After two goats are sacrificed to welcome a male child (one for a girl) his head is shaved and he is named for his father or grandfather. Another method is to lay a child at the mother's breast while ancestor's names are recited. The child receives the name mentioned as he first begins to feed. At twelve years a male's maturity is celebrated by feasting and a first pair of trousers. Pre-Islamic funeral ceremonies were elaborate, unusual affairs in that during a week of bereavement slaves carried and danced with a wooden figure cut to the deceased man's height. Relatives provided food to mourners. A warrior's weapons were buried in the coffin with him; a woman's ornaments with her. Also placed in coffins was a pot of symri (crumbled barley bread). A year after a man's death, a wooden statue was erected as a memorial and sacrifices to honor him were made at festivals thereafter. A number of these primitive, ancestral figures are on display today in the Kabul Museum. Holidays and annual feasts held an important place in the clans' social lives. Ancestors were praised and locally-styled music and dancing was performed as a favorite entertainment. Sunni Islam and Taliban influence have largely suppressed both of these cultural expressions. Previously, harvest festivals included group dancing accompanied by tambourines, flutes, large drums, a 6-stringed harp and hand-clapping. Choral singing was enjoyed as well. Nuristani men have a dashing reputation among other Afghans as possessing unruly natures so it seems quite natural they were the first to mount an undefeated revolt against the Russian invasion in 1978. Although a decade more of war with the Communists ensued, it was their actions that inspired the resistance of other Afghan militias that eventually broke the Soviets and drove them out. Presently, however, Nuristan serves as a convenient entry point for other insurgents because of proximity to Pakistan and the safety it's forbidding terrain offers, so parts of the region remain unsafe. Neither an impotent central government nor corrupt local officials offers protection from the Taliban or other services to the population – a situation that fosters "deal making" with both to accomplish mutual interests. Current needs are many. Communication is difficult – again due to remoteness and topography, even inclement weather. As recently as 2007, reports indicted that health care is virtually non-existent and schools are few in most of Nuristan. The need for roads to bring access for aid and development projects, as well as to bring in food and supplies is urgent. Often it is the Nuristani themselves who impede progress. To blame is an historical distrust of outsiders, a determined independence, in-fighting and even a lingering fear of spiritual consequences. Developing a nationalistic sense may take decades to achieve, but a remark from a native in 2008 offers promise. "We are facing injustice in Afghanistan but [hopefully] the new generation of Nuristan will ... make it a heaven for tourists, not a haven for terrorists." View Nuristani, Tregami in all countries. Location in Country: Konar province: Gambir and Katar villages in Tregam valley.